Ryan Flax joins A2L Consulting on the heels of practicing Intellectual Property (IP) law as part of the Intellectual Property team at Dickstein Shapiro LLP, a national law firm based in Washington, DC. Over the course of his career, Ryan has obtained jury verdicts totaling well over $1 billion in damages on behalf of his clients and has helped clients navigate the turbulent waters of their competitors’ patents. He has leveraged his significant experience in cases related to a wide array of technologies, including medical devices and systems, semiconductors, biotechnology, chemical engineering, mechanical engineering, software, and more. Most recently, Ryan was part of the Dickstein Shapiro team that brought 2011’s largest patent verdict totaling (so far) close to $600 million, which is also the 6th largest patent verdict in history (Bruce Saffran, MD, Ph.D. v. Johnson & Johnson et al.). It was during this experience that Ryan realized the excellent fit between his considerable expertise and skill sets as a patent law specialist, and his penchant for designing highly effective trial presentation materials through his collaboration with A2L Consulting. Ryan made the move to A2L Consulting to become A2L’s Managing Director, Litigation Consulting. Ryan earned his Bachelor of Science degree in Biology from Wake Forest University and his Juris Doctor degree from Southern Methodist University Dedman School of Law. Between his undergraduate studies and law school, Ryan was a Laboratory Scientist conducting DNA research at the R.J. Reynolds Tobacco Company. As a seasoned litigator and IP law specialist, over the last decade I saw the discipline of trial presentation evolve into a sophisticated art form of balanced science and persuasion. It is no longer good enough to take the complex and make it simple, but, to be effective, litigators must do this in a way that skillfully and persuasively communicates the facts and themes of the case. Litigation graphics, especially those presented in opening statements (and at claim construction in patent matters), can literally turn the tide for or against your case. I have had the opportunity to practice this “art” in my role as a litigator and collaborate with some great litigation graphics specialists and it is my great pleasure to announce my latest collaboration. I have moved from a position as a practicing litigator at a prominent national law firm with a vibrant IP practice to an exciting new role as the Managing Director, Litigation Consulting at A2L Consulting. Although my new position and my old one have many things in common, they are quite different in a number of ways: one of the most interesting distinctions stems from the fact that, as a trial lawyer, I was keenly aware that relevant and determinative facts often emerge from literally millions of pages of documents. It’s all too easy to get lost in the details as you try to sort out your case and find the best pieces of evidence for each point that can and must be proved at trial. And this propensity for detail can be compounded when one is obliged to respond to an opposing counsel's case. In such situations it can easily become difficult to see the forest for the trees as you begin looking at each individual proverbial tree under a magnifying glass to identify its species and recognize its characteristics. There are almost always a lot of details to get lost in, yet it must never be forgotten that jury cases are ultimately about the forest. Eventually, a trial lawyer needs to step back and regain perspective. This is where a litigation consulting firm becomes essential. The litigation consulting firm is unlikely to get bogged down in details and can maintain the perspective needed to develop a winning trial strategy. The earlier a law firm engages a litigation consultant, the better. One crucial role that a litigation consultant can play is to develop (and help develop) a working story for the client’s position early in the case. This will necessarily be a flexible story that can be adapted to the facts as they are revealed in discovery, to the way the case progresses procedurally before the court, and in response to the opposing party’s positions. Because A2L expertly utilizes seasoned attorneys as litigation consultants that support multiple trials every month (and hundreds over the years), our ability to add significant value to your litigation team cannot be overstated. Attorneys have a surprisingly wide variety of styles in developing and litigating their cases. Some prep early. Some prep late. Some 1st chair litigators do not get involved in a case until a couple of weeks before trial, while others tend to micromanage from the start. Some take advice from dozens of collaborators. Others work alone. And, when it comes to trial graphics, some litigation teams like to sit down and collaborate with their consultant team to develop the graphics while others prefer the electronic (email) “tennis-style” back-and-forth volley of graphics and edits from consultants to litigators. Many trial lawyers delay a longer time than I would have expected in developing a coherent theme and story of their case. At my former law firm, I had the privilege of working with some of the best in the business. Most of the trials I have seen had themes and stories worked out many months (or literally years) in advance of trial. However, I also see effective trial attorneys now doing this work on the eve of trial. Even I, an experienced and veteran litigator, can be swayed (surprisingly easily) to either of the opposing positions of a case depending on how well they are presented. I have been so used to living in and believing one side of a case for so long, I am amazed by the power of a good presentation to convince me that an argument is correct. Few things are more valuable than brainstorming the key issues, but it is surprising how long this can take even for the simplest of issues. If you’ve ever wondered what a litigation consulting firm looks like behind the scenes, think of the popular A&E show Madmen. Smart and experienced people combine experience and intellect to develop the best approach to presenting a case or an argument within a case. The brainstorming goes on for hours and is repeated over days, weeks, and months (if available) and produces amazing results. I wish I had utilized litigation consulting firms to their full potential when I was litigating cases. As an insider, I now see the value of getting the outside perspective of people who spend all of their time either working in court or preparing others for it. Armed with my “aha moments” and lessons learned in my first few days here at A2L Consulting, I am looking forward to achieving great things in my new position and to helping A2L Consulting’s clients do likewise in the courtroom. I invite you to contact me, download A2L’s complimentary Patent Litigation Trial Presentation Toolkit and subscribe to this blog, to which I will be contributing frequently. 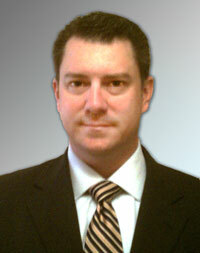 Ryan Flax is the Managing Director of Litigation Consulting at A2L Consulting. He joined A2L after practicing as a patent litigator who contributed to more than $1 billion in successful outcomes.